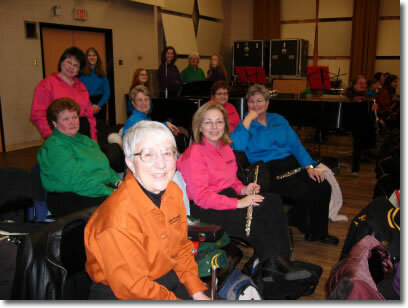 Join a Flute Academy Flute Choir! There is a group for YOU! Flute Loops is the PERFECT ensemble to introduce young flutists (grades 5 - 8) to playing their flutes in harmony. FUN repertoire is selected from folk, pop, and classical genres. Middle school aged flutists gather for 45 minutes each week to play in 2, 3, and 4-part harmony independently (school programs have all the flutists playing the same melodic line in unison). Join Flute Loops to explore playing bass and alto flutes and even piccolo on the exciting Flute Loops repertoire. 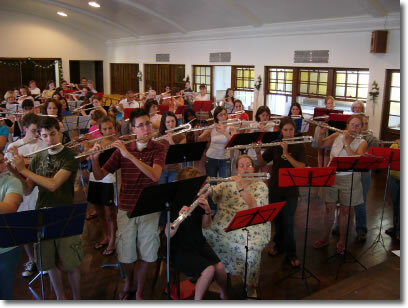 Flutations: Advanced High School flutists will enjoy the highly acclaimed FLUTATIONS flute choir! Join us for our weekly one hour rehearsals on Saturdays. * This is the ensemble repeatedly invited to perform in unbelievable venues including with the esteemed Pittsburgh Symphony Orchestra. 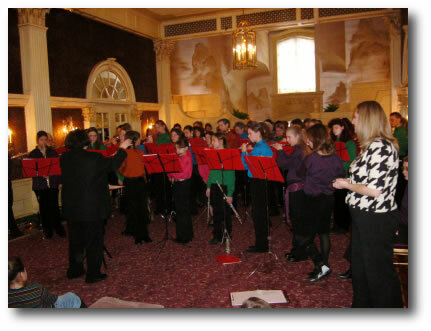 In February of 2006, 68 Flutations plus faculty and guests trooped onto the Heinz Hall stage with the PSO and Fiddlesticks to perform the commissioned orchestration of Pittsburgh born composer, Kirk Vogel’s The Secret Language of Snow under the expert direction of Maestro Lucas Richman. This was such a huge success that in September, 2006, 32 members of Flutations were invited back to the PSO stage, this time to perform a world premier by David Overton, Galway Fair with SIR JAMES GALWAY, Lady Jeanne Galway and the PSO. Indeed this was a life- altering event for all of us. JOIN THE FLUTATIONS! We have plenty of bass and alto flutes for you to play and we perform fabulous music in great spaces! *We fully support your school ensemble commitments and will work within your marching band schedule! Sunday, March 11, First Presbyterian Church, 4:00 P.M.
City Flutes: Finally, an advanced ensemble to keep you playing your flute for life! From college age on up (and we mean UP! Our Joe is 83) the CITY FLUTES will challenge and inspire you. From formal concerts in area cathedrals, to Heinz Hall and Carnegie Music Hall lobby concerts to impromptu gatherings at UPMC’s Family House across the street, City Flutes repertoire is eclectic, satisfying, and rewarding. Make and maintain friendships or just come and play to “get away.” City Flutes meets only 5-7 times per term, including concerts. Rehearsals are typically 90 minutes. There are plenty of basses (5) and altos (7) to share and we are currently embarking on a mission to raise funds to purchase a contrabass flute! Come and join this high-energy group! Saturday, December 2, First Trinity Lutheran Church, 11:00 A.M.
City Flutes in Heinz Hall lobby, June, 2006, performing works by PSO resident composer, Jennifer Higdon, who was in the audience!